We’re lucky now days, with many different products or treatments available to improve the look of our skin. These include facial oils, moisturizers, essential oils, massage, skin peels and many, many more. However, skin care treatments are usually only available at skin clinics and, you guessed it, can cost many of us out of the chance to give them a go. I go on about massage quite a bit, but it truly is one of those expensive treatments you can do yourself at home. As well as relaxing the muscles of the face, it encourages blood flow and can help improve the look of your skin. All you need is a good oil to use, and today I’m going to discuss why Trilogy Rosehip Oil Antioxidant+ might be one of your best options for this purpose. Trilogy Rosehip Oil Antioxidant+ can offer a lot of things to its purchasers, so it is no wonder that such a product has made a name for itself and has become popular in the field of skin care products. One nice thing about this facial oil is that it is all natural. In fact, this particular facial oil is certified to be an organic beauty product. This is a facial oil that is devoid of any trace synthetic materials or chemicals that could possibly cause harm or irritation to sensitive skin. Such a scenario can be avoided with the all organic ingredients of the facial oil. To add, this product is only made up of premium ingredients that all work together to help increase the effectiveness of the facial oil. Another feature of this facial oil is its antioxidant property that offers many skin benefits to its users. With the antioxidant property of this facial oil, premature aging of the skin can be avoided. Fine lines and wrinkles that on the forehead or on the sides of the eyes can be avoided or even alleviated. In addition, the antioxidants found in this facial oil help keep the skin looking healthy and glowing. The facial oil also has some hydration features that keep the skin moisturized, aside from adding a protective layer on the skin to ward off dirt and dust that can result from the environment. All these benefits can be achieved if the facial oil is used regularly, either as a separate skin care product applied on the face after proper cleansing and moisturizing or as part of a facial massage. There are also other benefits that make this facial oil worth it, such as its purchase price, which can be considered affordable. Trilogy Rosehip Oil Antioxidant+ may offer a lot of skin benefits to its users, but it also has its fair share of downsides that each and every interested buyer should know before pushing through with the purchase. One should look out for the possibility that the facial oil is not easily absorbent for some types of skin, so it is recommended that only a small amount of it should be applied on the face at any given time to help in its absorption. Another thing to take note of is the fact that the facial oil may cause some skin flaking on some rare cases. As for those with acne-prone skin, the use of this facial oil may cause an initial skin breakout, but it is not a common incident and only happened on a few occasions. The facial oil works best on dry or normal types of skin but can also work for other types. There has also some been feedback that the facial oil has a smell that some might find not nice, but nevertheless feels good when applied to the skin. 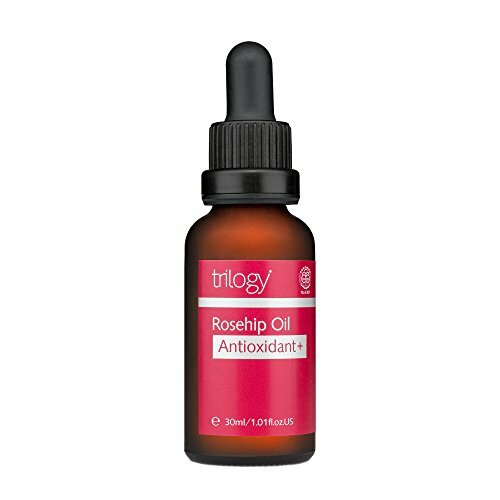 Trilogy Rosehip Oil Antioxidant+ offers a lot of beneficial features but it also has some negative feedback from its verified purchasers. However, if both sides are weighed and compared with each other, the result would be that this facial oil is a good, quality product that could be a regular part of the daily skin care regimen.